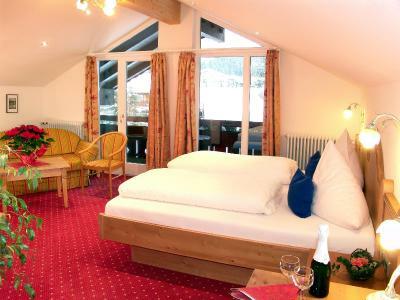 Lock in a great price for Hotel garni Brigitte – rated 8.9 by recent guests! Room was very clean and comfortable. The breakfast was very good. 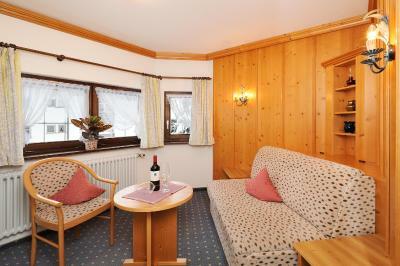 The use of free Nebelhorn Bhan (lift) tickets and the breakfast made it an exceptional value for the price. Ausreichend großes Einzelzimmer mit schönem Balkon zur sonnigen Südseite. Sehr sauber. Beim Frühstück ist für alle etwas dabei. Zur Bushaltestelle zur Fellhornbahn sind es ca. 200m zum Zentrum ca. 400-500m. Der Bahnhof ist in 15 min. zu Fuß erreichbar. - Sauna/ Fitnessraum hatte ich nicht angesehen, beides ist vorhanden. Frühstück war völlig ausreichend, Eier wurden auf Wunsch frisch zubereitet. Lage optimal. In ein paar Minuten zu Fuß im Zentrum. 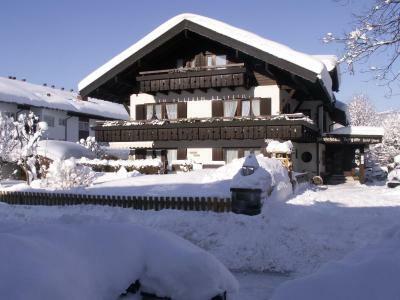 Für uns als Skisportler war das Hotel ideal gelegen. Nur 100m zum Loipeneinstieg und mit den alpinen Ski waren es nur 3 min zum Skibus. Das Hotel verfügt über einen beheizten und abgeschlossenen Skikeller, indem auch Skistiefel und Helme gut aufgehoben waren. Im Zimmer und im Bad war ausreichend Platz, um die Skibekleidung aufzuhängen. Das Frühstück bot alles , was ein Sportler braucht. Das Personal war angenehm zurückhaltend, aber stets freundlich zu Auskünften bereit. Hotel garni Brigitte This rating is a reflection of how the property compares to the industry standard when it comes to price, facilities and services available. It's based on a self-evaluation by the property. Use this rating to help choose your stay! 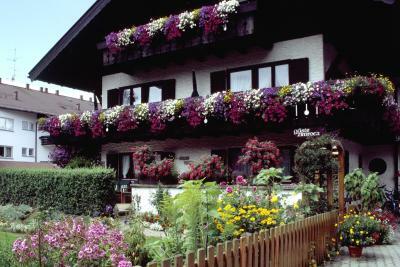 Hotel Garni Brigitte is located on the southern outskirts of Oberstdorf, just a 5-minute walk from the town center. 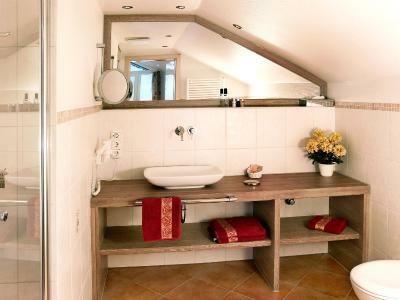 All rooms feature a balcony and free Wi-Fi. Hotel Brigitte has a sauna, solarium and gym. Guests can also relax on the terrace or on the private lawn. Just 350 feet away you will find meadows and hiking trails, and cross country ski tracks. 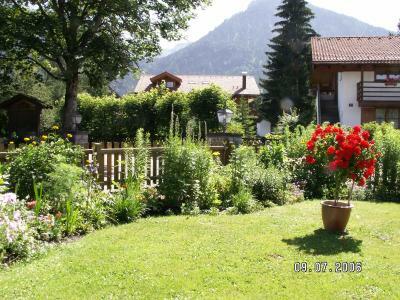 During the summer season (09 May until 01 November), use of the mountain railway in Oberstdorf is included in the room rate. 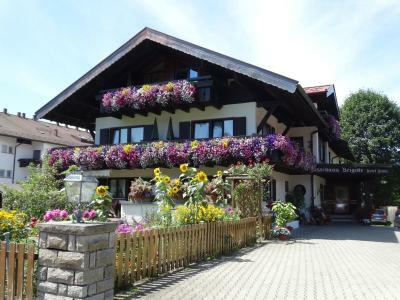 This property also has one of the top-rated locations in Oberstdorf! Guests are happier about it compared to other properties in the area. 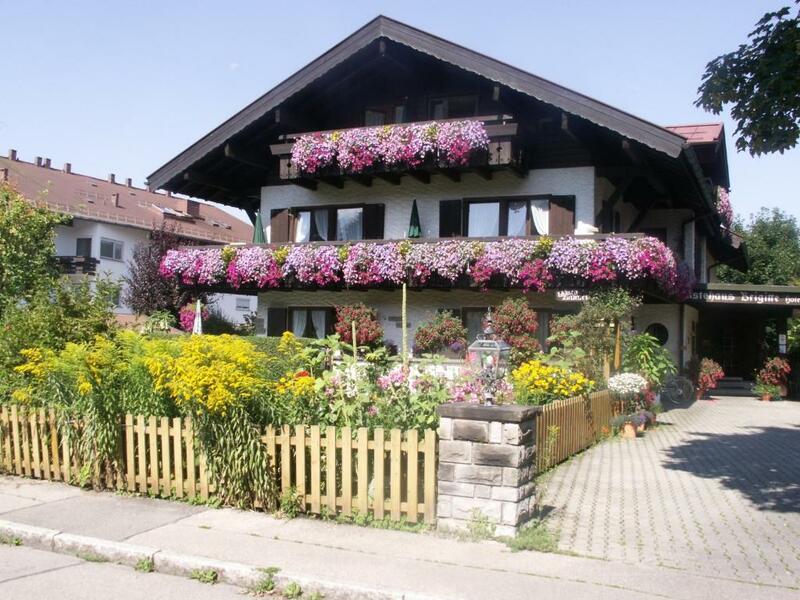 뀐 Located in the top-rated area in Oberstdorf, this property has an excellent location score of 9.5! When would you like to stay at Hotel garni Brigitte? Includes a TV, mini-bar and hairdryer. House Rules Hotel garni Brigitte takes special requests – add in the next step! All older children or adults are charged EUR 22 per person per night for extra beds. Hotel garni Brigitte accepts these cards and reserves the right to temporarily hold an amount prior to arrival. 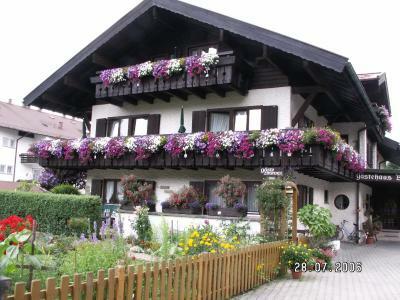 From 05 May until 04 November 2012, the use of the mountain railway in Oberstdorf and Kleinwalsertal will be included in the price. We were unlucky as it rained the whole time of our stay. We were able to walk around Oberstdorf and shop and eat at the beer garden regardless of the bad weather but it made for a cold, wet ride up the Nebelhorn with a very limited view. The meal at the top of the mountain was excellent. Just bad luck with the weather, everything else was great.